Whether you're already living in UK or preparing to move to UK, our Expat Guide to Living in UK offers articles and reports submitted by expats about expat life in UK. For answers to specific questions, visit our UK Forum to talk with expats in UK. Expats describe London as a love it or hate it city. With it's high cost of living and rainy weather, it's not for everyone. But, those who move to London and love it will tell you that the city's tremendous diversity, vibrant nightlife, incredible restaurants and varied neighborhoods. Families moving to London who are interested in an American curriculum, IB program or bi-lingual education for their children, may be interested in these popular expat schools. Expats in the United Kingdom live in one of the most sought after destinations in the world. Its four countries - England, Wales, Scotland and Northern Ireland - offer expats a broad range of expatriate experiences. Expats living in St Albans live in a suburb with a very easy commute to London. Almost all of the areas within St Albans are desirable. In addition to a lot of options for enjoying the great outdoors, there's plenty of shopping, dining, and pubs. 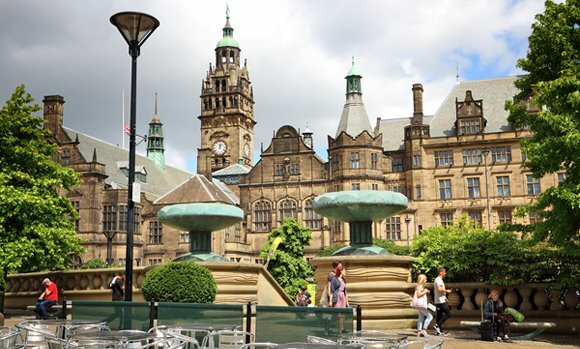 An expat in Sheffield, England answers questions about renting a property in Sheffield - from hard-to-find, pet-friendly rentals to taking pictures of any items in need of repair before you move in. An expat living in Wantage, England discusses the challenges of expat life there. Locals are not overly friendly and it can take years for people to accept you. She recommends that newcomers consider living in Oxford instead. An expat in Cambridge in the UK offers some advice on life in this university city and how to succeed there. Contains advice for expats on what to expect and how to get settled. Most expats have have "dreams" (and fears) about the expatriate experience before they moved to UK. If you are already living in UK, share how those "dreams" have been fulfilled, and how they have not by filling out our Dream vs. Reality Report. Retiring abroad can be a great option for retirees seeking their dream lifestyle at an affordable price. Help other retirees, who are thinking about retiring in UK by taking our Overseas Retirement report. Expats living in Hassocks live in a suburb with a relatively easy commute to London. It's proximity to the South Downs and Brighton make Hassocks a small town worth considering a London suburb. Expats living in Gerrards Cross live in a suburb with a relatively easy commute to London. As with other suburbs close to London, you will pay a premium for the easy access. Expats in the UK who want to live outside of London but work in the city might find Sevenoaks in Kent to be the perfect place. While it offers a great commute time by train, you will pay a premium for the convenience. Expats in the UK that want to live in a smaller city with plenty to do often look to Cambridge in the county of Cambridgeshire. It is a university town and London is still close enough to commute. Expats moving to the UK who plan to work in London often want to live in a village or smaller city and commute to the city. Here are a few options to consider. Tech jobs in London are sought out by wanna be expats all over Europe and other parts of the world. If working in London for Facebook, Google or a hot new start up is your goal, just take the time to research it and get it right! If you're moving to the UK with a pet, the regulations that apply to your pet are determined by the type of animal, breed of dog and where you are moving from. How has migration impacted British food culture? Monica Karpinski talks about how foods from the EU, Asia, North America, South America and Australasia have influenced today's food culture in the UK. London is the perfect place to get in the Christmas spirit. Here are 10 things to do in London during the Christmas season. There are numerous restaurants in London that offer wonderful Thanksgiving menus for expats and locals! Here are few of our favorites. With scores of NHS-funded hospitals recruiting overseas nurses, Brit Peacock offers advice for nurses interested in moving to the UK. Expats living in London sometimes struggle to find room for their belongings. Matt Cook offers advice on how to make the most of your space and love your life in London. An expat interview with Julie Falconer, a travel writer and author of the blog - A Lady in London. Our working in London guide offers information and tips for expats and others that want to work in London. London is one of the world's most popular study abroad locations with over 100,000 international students coming from more than 200 different countries. This guide will help you get around as it covers central topics such as UK visa, housing, universities in London and general tips & info about living in London. London is an amazing city with a diverse population, incredible parks, beautiful landmarks and warm pubs. Living in London is expensive, but for those able to make the move it can be the expat destination of a lifetime! Expat Exchange members in London share their tips for living in London. Author Karen White shares tips for renting homes and flats in the London area. Topics range from the length of the lease available to how to calculate the monthly rent and how deposits work. From mews to terraced houses, exchange contracts to stamp duty land tax, author Karen White provides a helpful laundry list of British real estate terms and their definitions. Whether you're interested in upmarket Mayfair, less busy Notting Hill or family-friendly St. John's Wood, author Karen White offers detailed one- and two-week fact-finding tours that cover many popular neighborhoods and suburbs of London. If you're preparing to move to the UK, this helpful article offers a timeline for preparing for your move. Expats in the UK sometimes expect an easy transition, but end up finding it hard to assimilate. Lenna Ntala shares tips for dealing with culture shock in the UK. The UK Intra Company Transfer (ICT) Visa enables businesses to more easily transfer employees into the UK. This article provides an overview of this special visa. Are you eligible for coverage under UK's National Health Service (NHS)? Do you also need expat health insurance? This article provides an overview. It's no secret that the cost of living in London is extremely high, but how high? For a newcomer or someone preparing to move to London, this cost of living comparison offers some insight. UK Immigration changed in 2008 and 2009 with the introduction of the Points Based System. Immigration Consultant, Nikki de Prey, explains how the new system works. Every American has their own idea of what it means to be an American in London. Some Americans, however, have a pretty strong opinion about the "right" and "wrong" way to enjoy the London American experience. Live in Chipping Norton and having a baby? One member shares her experience having a baby with the help of midwives. What's happened to the traditional scone? Why does everyone want to add raisins or cheese? Expat Mike Harling, an American in the UK, shares his thoughts. Mike Harling shares some views on expat life in the UK. One of the major differences between living in the US as opposed to Sussex was brought to mind recently when I lost my bus pass. The British eloquence and at the same time indirect and polite use of the language can at times be frustrating for cultures that are more forthright and direct. The British are very polite; everyone knows that. But, while the British have a sense of humor, it doesn't extend to unintended slights. McBride, an American in the UK, shares her story. Previous articles have warned of the UK Property Market's "Credit Crunch" and the arrival of a mortgage famine - they are now "fait accomplis". Registering with your country's embassy is always advised. List of embassies in London. Overview of international schools in London and outside of London. Obtaining UK work permits can be a complex endeavor for individuals that seek to move to the United Kingdom, and also HR departments deploying employees abroad. Centre Academy in Southwest London is an international school that also provides tremendous support for children with learning disabilities. UK housing market rises steeply, but expected to level off as utility and council tax bills hit, says Bank of Scotland International. To an English speaker, moving to England sounds like a breeze. But, that same expectation is what often leads to serious culture shock for expats living in London or the English countryside. UK Property Market: UK House Prices - UP AND DOWN! Early reporting from leading property agents and developers show some dramatic changes in the UK property marketplace. An overview of the UK Buy to Let property market. A light hearted look at differences across the Atlantic - British English vs. American English. General advice for expats buying property in the UK. Information for UK Expats about UK Tax Issues. Includes residence claims, tax planning, tax compliance, PAYE tax (Pay as You Earn) and more. London Flats: I've been gazumped! Searching for at flat in London? International Living provides a look at the ins and outs of looking for a flat to rent in London. Kensington Palace Gardens in London is home to some of the most expensive properties in the world. Many parents with very young children who are told that they are to come to London will find that it is not easy to obtain nursery places or indeed places in the Pre-Preparatory School within the capital itself. What is the difference between the British educational system and the International Baccalaureate (IB) system followed at many UK international schools? The expatriate moving to the UK knows so well that the State System can produce some excellent schools and want those schools for their children and yet when they arrive they find it is not that easy. Get a quote for expat health insurance in UK from our partner, Cigna Global Health. An expat in discusses renting a home in Sheffield, England. The red tape involved in finding a rental can be challenging (i.e. a 3 year history of utility bills) coupled with the high cost of housing.